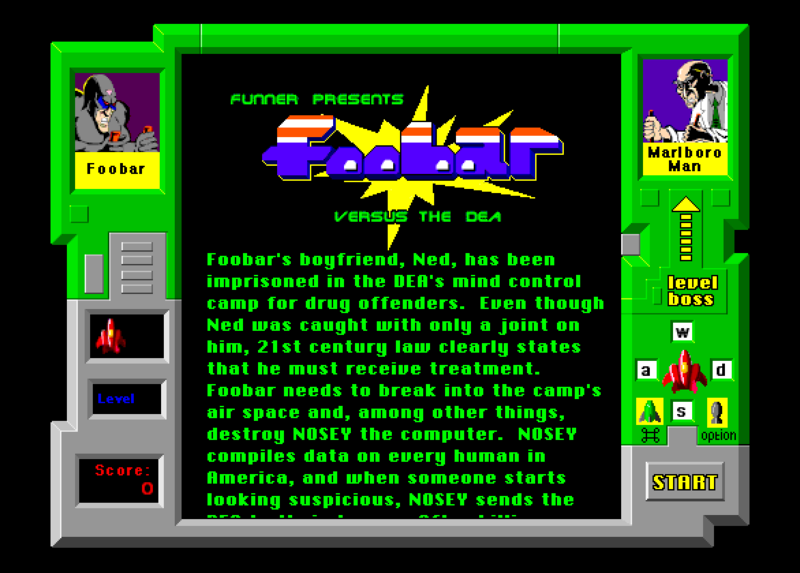 In the original game, Foobar is on a mission to save his boyfriend Ned who has been captured by the DEA (the US Drug Enforcement Agency). 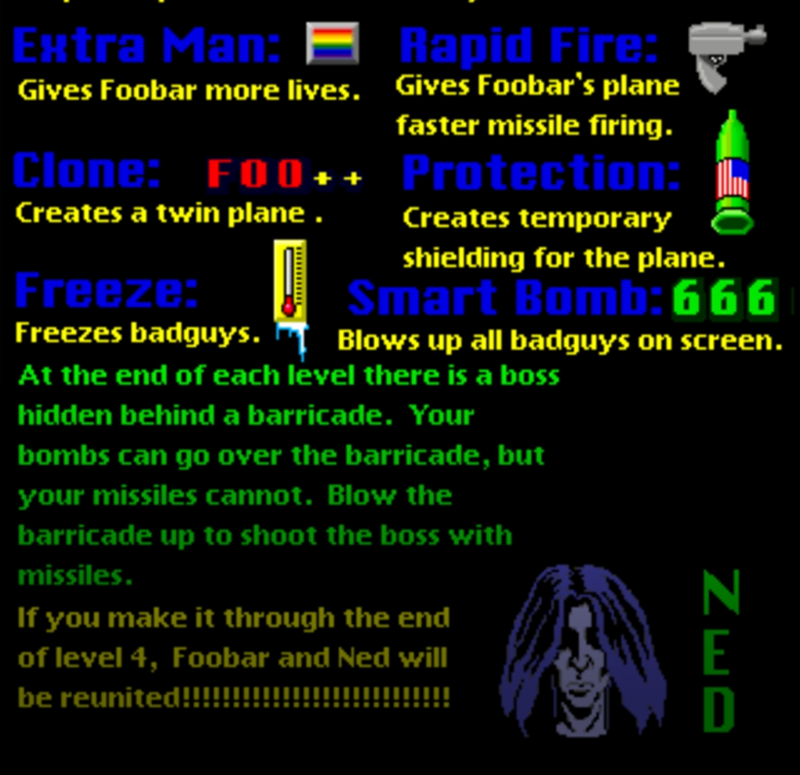 Although we did find several reviews and posts that merely referred to Ned as Foobar’s friend or “friend” (see here, here), the game very clearly refers to them as boyfriends. 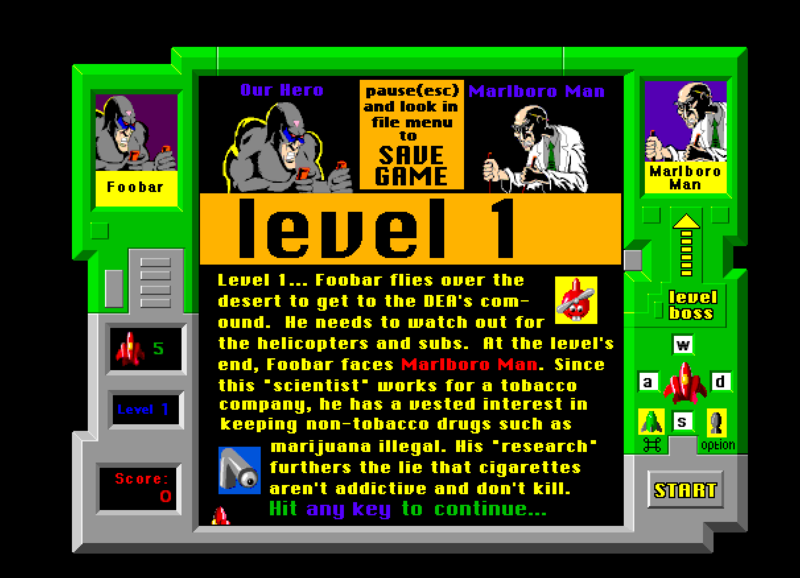 In addition, there are some gay coded references in the imagery of the game, including: a pink triangle on the forehead of Foobar’s mask and as the targeting site; “yummies” (or power ups) such as rainbow flag for an extra life or a condom (with an American flag) as the protective shield. 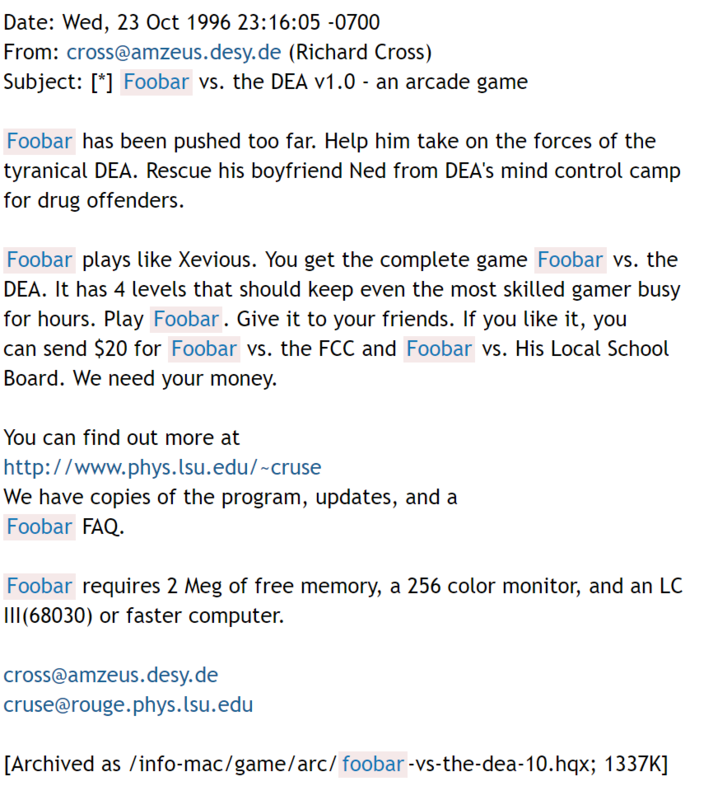 According to Richard Cross’s emails the pro-gay rights, anti-war on drugs and anti-censorship politics were very intentional in the games.